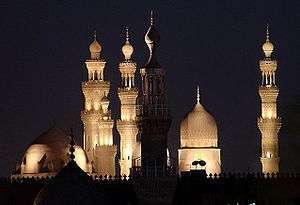 Irreligion in Egypt is uncommon among Egyptians, as Islam is the predominant faith. 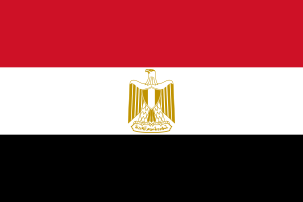 It is difficult to quantify the number of atheists or agnostics in Egypt, as they are not officially counted in the census of the country. There is a great stigma attached to being an atheist in Egypt, so many Egyptian atheists communicate with each other via the internet. According to a 2010 Pew Research poll, 84% of Egyptian Muslims polled supported the death penalty for those who leave the Muslim religion. In December 2014 Dar al-Ifta, a government-affiliated Islamic centre of education and jurisprudence, claimed that there are 866 atheists in Egypt, which amounts to 0.001% of the population. 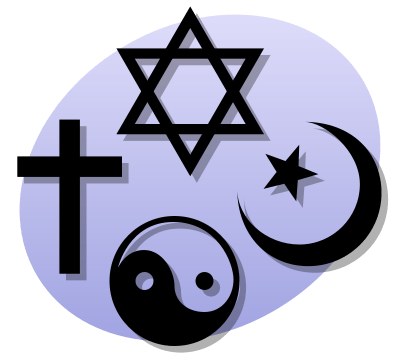 In November 2013, it was estimated that up to 3 million Egyptians were atheists. ↑ "Leaving Islam in the age of Islamism". Daily News. Retrieved 2014-03-31. ↑ "How oppressive Islam triggers atheism". Hürriyet Daily News. Retrieved 2014-03-31. ↑ "Did Religious Extremism Drive 2 Million Egyptian Youth to Unbelief?". Truth Dig. Retrieved 2014-02-14. ↑ "No God-given right to atheism in Egypt". albawaba. Retrieved 2013-11-20. ↑ "Egypt's embattled atheists". Al Jazeera. Retrieved 2013-11-19. ↑ "A Christopher Hitchens dream: Atheism on the rise in Egypt". Salon. Retrieved 2013-10-28. ↑ "A generation of atheists". Daily News. Retrieved 2013-09-28. ↑ "Egypt's Atheists Want To Speak Their Mind In Post-Mubarak Era | All News Is Global |". Worldcrunch.com. 2012-10-31. Retrieved 2013-09-21. ↑ "Who is afraid of Egyptian atheists?". Al Arabiya. Retrieved 2013-11-20. ↑ "Controversial Egyptian film 'The Atheist' gets go ahead by censors". Al Arabiya. Retrieved 2012-07-10. ↑ "Most Embrace a Role for Islam in Politics". Pew Research Center. Retrieved 2012-07-10. ↑ Kingsley, Patrick (12 December 2014). "Egypt's atheists number 866 – precisely". Guardian News and Media Limited. Retrieved 25 December 2014. ↑ "Egypt: Are there really three million atheists?". BBC News. 2013-11-19. Retrieved 2014-11-15.